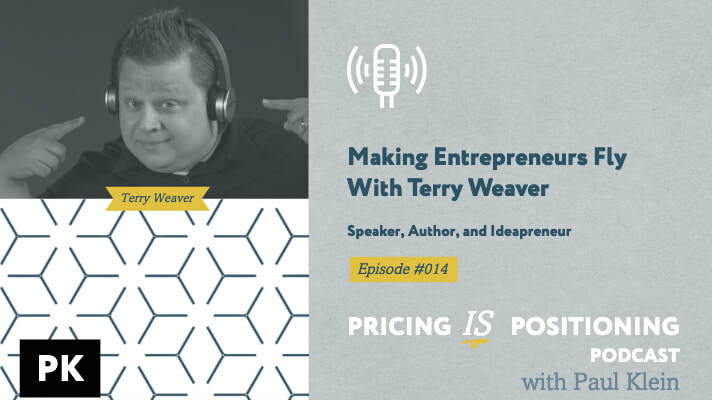 Terry is the author of the book, “Making Elephants Fly.” He is a speaker, coach, and entrepreneur. He is also the host of the event, The Thing Live, taking place this May in Orlando, Florida, which I'll be speaking at. 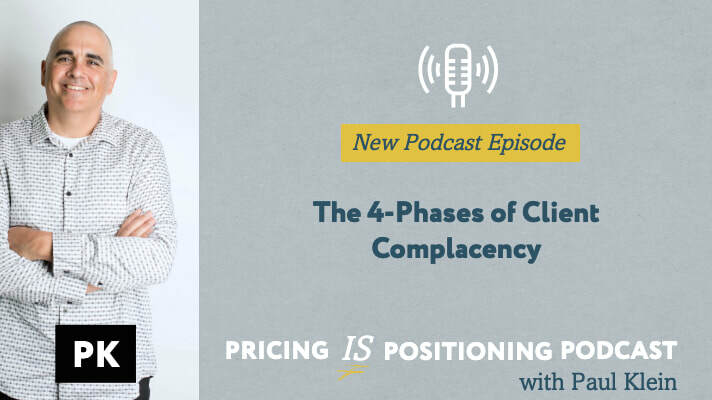 This week I wanted to discuss the four phases of client complacency. Yes, ouch. As painful as it sounds, we have to recognize that sometimes we do become complacent with our clients. A few weeks ago I talked about the opposite end of this........read more. In fact, you can be effective with as little as fifty or one hundred people on your email list. Remember, it is not the quantity of people you know, but instead the........read more. ​Paul is very unassuming, but don't let that fool you. Paul has worked with some of the biggest national brands, has the background and experience to help you with your pricing, positioning and consulting business. Listen wisely! Mike Kim, Marketing Consultant, Communications Strategist, and Copywriter. ​Wow - thanks so much. 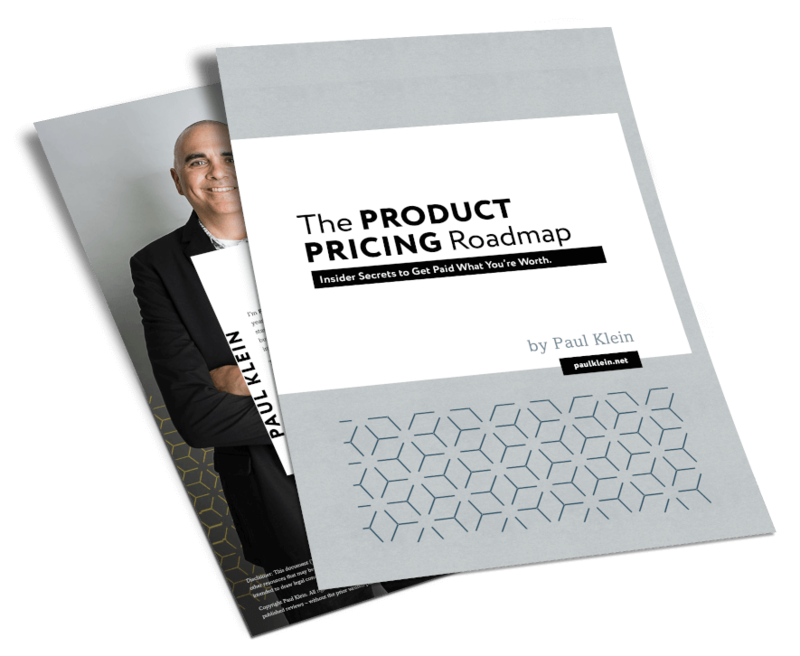 Paul’s pricing framework really has validity - as I think about my own buying decisions and what we offer people in every other area of 48 Days. We will definitely be building a new model for the 3-tier pricing. ​So grateful for Paul! His zone of genius is helping people with pricing and he was able to help me clarify my business strategy. What a gift, thank you! I'm Paul Klein - business consultant and entrepreneur. My goal is to help executive level professionals transition from their corporate or government roles to starting and scaling their own 7-figure consulting or freelance business. Let's face it, all of us want more time and financial freedom. I can help you discover new approaches and non-traditional methods to leverage your expertise and monetize your knowledge. Whether it’s a side hustle or leaving your executive role, stop trading time for dollars and get started on your own consulting business, personal brand or expertise entrepreneurship and transition your way to freedom!